Rough and natural come together with Annette Görtz and Black Crane. Exploration and leisure in wild and rugged locations, while remaining stylish with texture and architectural form. The Black Crane natural linen shirt goes with backgrounds of places such as Zambia. 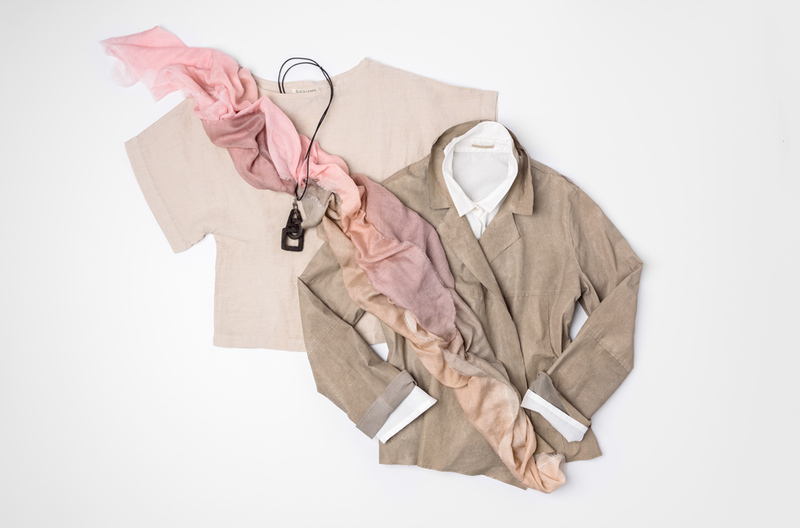 Layer with the Annette Görtz beige jacket and white button-up shirt. The Faliero Sarti cream, beige, and pink ombre scarf matches while still adding warmth. The Lou Zeldis wooden necklace becomes textural, contrasting accent.